Change to the construction payment and lien landscape has been rolling towards us for several years and it’s finally upon us. So, ready or not, it’s time to learn and implement these changes. Fortunately, to stagger their impact and give people a chance to adjust a bit more gradually, the in-coming changes to the Construction Lien Act (to be renamed the Construction Act) will take effect in two separate phases. The first set of changes will come into effect on July 1, 2018 and the second set of changes will come into effect 15 months later, on October 1, 2019. The changes are a result of the passing of the Construction Lien Amendment Act, 2017 in December 2017 and the changes have, as their objectives, improving promptness of payment in the construction industry and “modernizing” the construction lien and trust regime in the Province of Ontario. The first set of changes are the focus of this post. A future post will delve into the (arguably more dramatic and complicated) changes coming in 2019. If you’re inclined to comb through the legislative changes themselves, you can click here to link to the Construction Lien Act and you can click the following links to the new regulations (relating to general matters, forms, and procedures for actions under Part VIII of the Construction Act). the premises in question is subject to a leasehold interest, with the lease being entered into before then. So, no existing construction work or projects will be subject to the new regime under the Construction Act and even projects at a procurement (tendering, RFP) stage at any time prior to July 1, 2018 will remain under the old Construction Lien Act. So…what’s the big deal? What’s changing on July 1, 2018? The changes coming into force July 1, 2018 are wide-ranging and scattered throughout the legislation and regulations. This post doesn’t aim to identify or discuss each and every one of them. Rather, the following is a summary of the most significant changes and those likely to be of the most interest to those in the industry. There are some new provisions dealing with these unique projects which seek to clarity how the Construction Act will apply to projects with this delivery model having different processes and requirements than “typical” projects. Because these changes are of targeted application and are quite lengthy, they aren’t discussed in detail here but (for those interested) they can be found at the new section 1.1 of the Construction Act. Perhaps one of the most iconic changes is the demise of the 45-day lien periods with which everyone is so familiar. The current 45-day period to register (preserve) a lien will now be 60 days and the current further 45 days to perfect a lien will be 90 days. In addition, “termination” is added as an express 60-day trigger and, in cases of termination, there is a new requirement to publish a notice of the termination as prescribed by regulation. A word of caution – when it comes to preserving or perfecting a lien, if there is any doubt as to whether a project falls under the old Construction Lien Act or the new Construction Act under the transitionary rules, unpaid parties with lien rights would be wise to assume that the shorter 45-day periods apply in order to avoid the risk of the inadvertent expiry of lien rights. maintaining written records regarding the trust funds (debits, credits, transfers) for each trust. Provided the new rules are followed, funds can be held in a single bank account though it might wind up being prudent and good practice to establish separate project or contract specific accounts to make compliance and accounting easier and less susceptible to error. notifies the contractor of the publication. This new provision requires the owner to have a legitimate reason to refuse to release the holdback and to make it known so that others (contractors and subcontractors) can make decisions and take action accordingly. All contractors (except architects and engineers) working under a “public contract” (newly defined) are now required to provide labour and material bonds and performance bonds for 50% of the contract price for contracts valued at $500,000 or more. However, the minimum coverage limit is 50% of the contract price for contracts valued at $100 Million or less, and a minimum coverage of $50 Million if the contract value is $100 Million or more where the project falls under section 1.1 (AFP/P3). Appeals from interlocutory orders are now permitted but only with leave of the Divisional Court. While far from a comprehensive description or analysis of the incoming changes, hopefully the foregoing provides a useful overview of some of the ones of broad application and a sense of what sort of changes to practices and procedures will be required. If you have any specific questions or would like to consider engaging us to assist you with implementing and navigating the Construction Act please contact me at azasada@sorbaralaw.com or 519-741-8010 x 248. On December 5, 2017, the Ontario Legislature passed Bill 142 – the “Construction Lien Amendment Act” which will dramatically change and modernize the Ontario Construction Lien Act (to be re-named the Construction Act) – legislation that has stood in place in this Province with little in the way of change for decades. Those involved in the construction industry that will be affected by this new legislation – from owners to lenders to contractors to suppliers – have different and varied interests and so it’s no surprise, really, that there will likely be little consensus as to what changes will represent an improvement to the current regime and which ones will prove problematic. From conversations I’ve had and seminars I’ve attended, though, it seems that there is fairly widespread agreement that 1) some of the changes are overdue and 2) the learning curve for both industry players and their lawyers is going to be relatively steep as the changes take effect. It’s expected that the amended legislation will roll out and come into force sometime in 2018. Ontario’s Construction Lien Act is under review and I was recently asked (and agreed) to participate in the process. However, I didn’t know, and just read in “B.C. 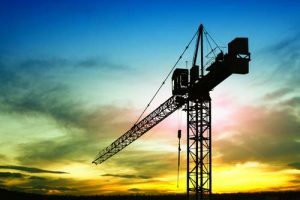 Builders Lien Act reform getting underway” by Russell Hixson in the Journal of Commerce, that British Columbia’s Builders Lien Act is currently undergoing a similar review. While the lien legislation of the two Provinces share a lot of similarities, they also have some pretty significant differences. It will be interesting to see how the reviews unfold and whether the proposed (and ultimately implemented) changes take the two acts in the same direction or if, instead, one finds a change (or changes) that the other doesn’t. Can an owner rely upon read-in evidence from transcripts of subcontractors’ Examinations for Discovery against the general contractor? The party who carried out the examination can “read-in” portions of the transcript produced at the examination and those “read-ins” become part of the evidentiary record at trial. The recent case of Urbacon Building Groups Corp. v. Guelph (City), 2013 ONSC 5773 (CanLII) – which by the way is producing lots of interesting caselaw re construction liens in Ontario – addressed whether an owner rely upon read-in evidence from transcripts of subcontractors’ Examinations for Discovery against the general contractor. The City of Guelph took the position that it could read-in portions of the transcripts of the Examinations for Discovery of Urbacon’s (the GC) subcontractors against Urbacon. Much to my nerdy delight, Justice MacKenzie cited an earlier Ontario Decision and a B.C. Decision and ruled that (I paraphrase) discovery evidence can only be read in against the party who gave it. One can easily imagine the mischief that could result from one party relying on the evidence given by X against Y when Y may not have had a chance to challenge or counter X’s evidence and I am glad that the door on this risk has been closed just a little further and, in particular, in the context of a multi-party construction lien action. A Decision (arising from a motion to have a construction lien discharged and security posted returned) in 984499 Ont. Inc. v. 1159337 Ont. Inc. et al. was released by the Ontario Superior Court of Justice on July 2, 2013, and we are – yet again – reminded how forgiving the Ontario courts can be when a lien claimant has arguably failed to comply with some ostensibly fundamental aspect of the Construction Lien Act. mention or plead the Construction Lien Act at all other than to plead reliance on the trust provisions of the Construction Lien Act. The Defendant (owner) brought a motion for a ruling that the construction lien had not been perfected in accordance with the Construction Lien Act because the Statement of Claim was not in the nature of an action to enforce the lien as is required by section 36(3) of the Construction Lien Act and that it could not be an action to enforce a lien because it pleaded the trust provisions of the Construction Lien Act and section 50(2) says that an action to enforce a lien and a trust claim shall not be joined together. Mr. Justice Whalen dismissed the motion and, relying on Rules 1.04(1) and 26 of the Ontario Rules of Civil Procedure, allowed the Plaintiff to “cure” or “fix” the Statement of Claim to effectively bring it in compliance with the Construction Lien Act. My own view is that this Decision is wrong and, like other similar Decisions, is in stark contrast to what I think is a better line of cases in B.C. (under its fundamentally very similar Builders Lien Act) which hold that lien legislation, while being remedial, creates an extraordinary remedy (it allows one party to encumber the property of another before judgment and creates priorities between creditors, etc) that is strictly a creature of statute and so the legislation must be interpreted strictly and the court has no discretion to depart from the express statutory requirements. I have little doubt that if 984499 Ont. Inc. v. 1159337 Ont. Inc. et al. had been decided in B.C., the Defendant’s motion would have succeeded. See, for example, Nita Lake Lodge Corp. v. Conpact Systems (2004) Ltd., a 2006 Decision of the Supreme Court of B.C. in which a $300K+ lien was extinguished solely because the lien claimant failed to properly name the company with which it had contracted and from which it claimed to be owed money. While, the Ontario Construction Lien Act contains a curative provision at section 6, it does not apply to pleadings and is not so broad as to convert a Statement of Claim that does not seek to obtain or enforce a construction lien into one that does. Similarly, this wasn’t a case where there was some poorly drafted paragraphs but it was still, in substance, a claim to enforce a construction lien as required by the Construction Lien Act such that a Rule 26 amendment could improve the pleading or fix some minor flaws. Rather, it was an action that did not plead material facts to support a finding of a lien or claim a lien as a remedy and so the Plaintiff, in my view, had not perfected its lien as required by section 36 of the Construction Lien Act and the lien should have been discharged and the security returned to the owner. What an awful Blog post title. My apologies. The Decision of Madame Justice Pierce in 1188710 Ontario Ltd. v. Gartner, 2012 ONSC 6110 (CanLII) is a good reminder of how judges trying to do perceived justice between parties sometimes finds the law bent (or worse – disregarded) in favour of perceived justice. The facts of the case aren’t particularly remarkable – contractor does work, owner takes issue with various things and doesn’t pay all invoices, contractor liens, lawsuit follows. Same old story. Sometimes the contractor comes out on top and sometimes it is the owner that prevails. In this case, Pierce J. interpreted the agreement between the contractor and the owners and the evidence that was presented at trial almost entirely in favour the contractor. Pierce J. declared that the contractor has a lien against the Defendants’ property for an amount that includes the interest that she found to be owing. If Pierce J. had just addressed the issue of interest as one of damages (the contractor’s losses based on interest the contractor had to pay on its line of credit or to its own suppliers) rather than as interest and if the contractor had presented better evidence on this point, I don’t think there would be an issue. However, because Pierce J. expressly found that there was no agreement as to interest (see paras 37 & 40), I think she should have been foreclosed from awarding contractual interest. Nonetheless, she (wrongly in my view) reasoned that a contractual obligation to pay invoices within a specified time implied an agreement to pay interest if payment was not made within that time (see para 44). If Pierce J. were right on this, it would effectively mean that every contract that obliges a party to pay contains an implied agreement to pay interest if payment isn’t made. I don’t think that this is the law and I don’t think this accords with longstanding jurisprudence that parties should, as a general rule, be held to their bargains – if the contractor had wanted to negotiate a contractual entitlement and rate of interest, he could easily have done so. The next part is that there seemed to be some very loose (it seems to have been given just in oral testimony at trial) evidence that the contractor had suffered some sort of losses based on having to dip into his line of credit and charges from his own suppliers as a result of the owner not paying all of his invoices (see para 100, for example). It was this evidence that Pierce J. used to determine the rate of “interest” that the contractor should be entitled to (5 browse around here.5% was the contractor’s rate on his line of credit…so Pierce J. somehow made that the contractual rate of interest “agreed to” between the contractor and the owner). I wouldn’t be so offended by this had Pierce J. just characterised the amount payable as damages rather than interest. However, even then, the problem would be that she found as a fact that, “Unfortunately, there is no evidence about how much [the contractor] had to draw on his line of credit for this project, or how much interest he paid.” In effect, she awarded damages in the absence of any evidence of the proven quantum of those damages. I think that there should have been found to be no agreement as to interest and so only pre-judgment interest payable to the contractor pursuant to the Courts of Justice Act. Further, should Pierce J. have been inclined to find a breach of an obligation to pay on the part of the owner, she could have still found damages to have resulted from the breach but she should have then found (on the evidence described by the Decision) that the contractor did not adduce sufficient evidence to support his claim and then awarded no damages on the basis that quantum had not been proven. Instead we are left with, in my view, a bad Decision (on this point) that could come back to haunt other litigants arguing this sort of contractual interest dispute. 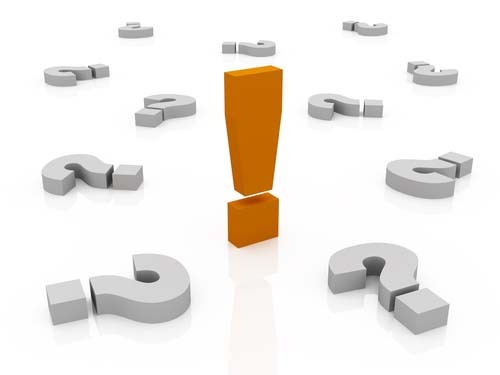 On the second point, section 14(2) of the Construction Lien Act expressly says that, “No person is entitled to a lien for any interest on the amount owed to the person in respect of the services or materials that have been supplied by the person, but nothing in this subsection affects any right that the person may otherwise have to recover that interest.” As such, Pierce J. erred in law by including the interest she awarded the contractor in the declared amount of the lien she declared the contractor to have over the owner’s lands. The interest should have been included in the money judgment but should not have been included in the value of the lien. I recently learned that, when it comes to securing the release of a construction lien for work done to the common elements from an individual condominium unit by paying security into Court, the Ontario Construction Lien Act and the Ontario Condominium Act don’t play particularly well together. 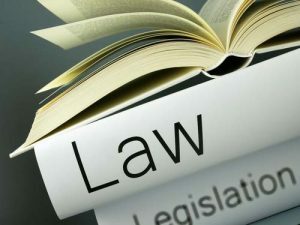 The problem is that neither piece of legislation has a clear and express mechanism for the owner of a condominium unit to pay money into Court as security to clear title to the unit where a construction lien attaches to the unit but arises from work done to the common elements of the condominium corporation. Where the work is done to an individual unit (i.e. a kitchen renovation) and the construction lien is registered against that unit, section 44(1) of the Construction Lien Act provides a simple mechanism for the owner to clear title (to sell or refinance, for example). However, the Construction Lien Act provides no such simple mechanism where the work was done to the common elements (i.e. a roof replacement or elevator repair) and the contractor and its subcontractors have registered the full value of their alleged liens against title to all of the units comprising the condominium corporation. to argue that the proper amount to be posted as security to clear title to individual units should be the unit’s proportionate share of the lien (determined by the unit’s interest in the common elements as established by the declaration) and that same proportion of the unit owner’s potential exposure to the security costs contemplated by section 44(1) of the Construction Lien Act. The lawyer opposing my motion had a couple of different theories of what security my client ought to post in relation to each unit. At the end of the day, Mr. Justice Reilly agreed with my argument. However, if the legislation – either the Condominium Act or the Construction Lien Act – were amended to provide a clear mechanism to address this problem, costly Court hearings such as the one I recently argued could be avoided and it could be as simple to clear title by positing security for condominium units as it is under section 44(1) for non-condominium properties. On a closing note, the B.C. legislature seems to have recognized this need and provided a solution. The B.C. equivalent of Ontario’s Condominium Act is the Strata Property Act and its equivalent of Ontario’s Construction Lien Act is the Builders Lien Act. Under the Strata Property Act, Division 5 of Part 5 (sections 86-90) plus section 166 provides what is pretty much a complete mechanism for an owner of an individual strata lot to remove a builders lien arising from work to common property upon payment into Court of the strata lot owner’s proportionate share of the lien. I can’t see any good reason why the Ontario legislature shouldn’t follow suit to enact similar provisions in Ontario since this seems to be the combined, though not clearly articulated, intent of sections 11, 13, , 14, 18(2), and 23(6) of the Condominium Act and sections 44(2) and 44(4) of the Construction Lien Act. In the age of Twitter and electronic media, it’s old news by now (the last of the amendments came into force last summer) but, in the interest of one-stop-shopping, I figured I ought to throw up a brief post summarizing the “recent” amendments to the Construction Lien Act. The definition of “improvement” at section 1 of the Construction Lien Act has been amended and now expressly includes the installation of industrial, mechanical, electrical or other equipment on the land where the equipment is essential to the normal or intended use of the land. It will be very interesting (for construction law nerds like myself, anyway) to see how far the courts will go in extending lien rights to installed equipment. See my other post on this here. 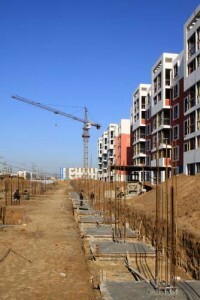 Under this amendment (new section 33.1 of the Construction Lien Act), condominium developers will be required to publish notice of their intention to register the condominium declaration in accordance with the Condominium Act in a construction trade newspaper (the Daily Commercial News) five to fifteen days prior to registration. This amendment will provide unpaid persons having liens notice of the pending registration of the condominium declaration so that they can preserve their lien rights before the lands and premises are legally divided into separate condominium units and title is transferred to homebuyers. Prior to the registration of the declaration, the condominium improvement can be liened in the normal manner, even if the work of the person having a lien is to parts of the project which, after registration of the declaration, will be common elements. This amendment will provide an opportunity to avoid the much more expensive and time consuming requirement of liening the common elements of a condominium after the declaration has been registered. Check out one of my colleague’s comments on this change here. Prior to these amendments (to sections 34 and 40(1) of the Construction Lien Act), a claim for lien had to be verified by an Affidavit of Verification which was typically sworn by the lien claimant. In an effort to keep pace (or at least not fall out of sight) with the new(ish) electronic registration system for land titles documents, verifying a claim for lien by Affidavit will no longer be required. Also, instead of cross-examining the deponent of the Affidavit of Verification, the lien claimant, the agent or assignee of the lien claimant, or a trustee of the workers’ trust fund (as the case may be) will be subject to cross examination. Under these amendments (to sections 44(9) and 47(2) of the Construction Lien Act), a lien claimant whose lien is sheltered under a certificate of action that has been vacated from title by Court Order will still be able to proceed with an action to enforce its sheltered lien as if the Order to vacate had not been made. These amendments were introduced to facilitate the vacating of liens by Court Order while, at the same time, protecting the rights of sheltered lien claimants. Still waiting to see what the Court does with the new definition of “improvement” under the Construction Lien Act? In 2010, the Ontario Legislature passed the Open for Business Act, 2010, which included several changes to the Construction Lien Act. When I learned of the coming amendments, the one that interested me the most was an amendment to the definition of what is an “improvement” under the Construction Lien Act. In 2007 (and under the former definition), the Ontario Court of Appeal upheld a trial judge’s ruling that the transporter and installer of a 100,000 square-foot, 500,000 ton automotive assembly line (built off-site, disassembled, transported, reassembled on-site, and fastened to the building with 2,000 to 3,000 bolts) did not have lien rights, because the installation of the assembly line did not fall within the old definition of an “improvement” as it was “portable”. The Court of Appeal refused to interfere with the trial judge’s finding that the assembly line was portable and the appeal was dismissed. I’m not kidding. (See Kennedy Electric Limited v. Dana Canada Corporation, 2007 ONCA 664 (CanLII) and Kennedy Electric Ltd. v. Rumble Automation Inc., 2004 CanLII 47787 (ON S.C.)). The construction industry (and more than a lawyer or two) was surprised by the Court’s interpretation and so too, it seems, did the Ontario Legislature disapprove because the definition of “improvement” at section 1 of the Construction Lien Act was amended to now expressly include the installation of industrial, mechanical, electrical or other equipment on the land/building/structure/works where the equipment is essential to the normal or intended use of the land/building/structure/works. This amendment came into force in October, 2010 and I’ve been keeping an eye on the reported caselaw but have yet to see a decision that gives a meaningful interpretation to the new definition and that tests the boundaries of what sort of “other equipment” might constitute an improvement and what “essential to the normal or intended use” means. At one extreme, the new definition could be interpreted to extend to, for example, dishwashers or water softeners installed in homes. At the other extreme, the Courts might be more conservative and the new definition might be fairly narrowly applied to large scale, purpose built equipment (like the equipment in the Kennedy Electric case). It’s something to think about. As soon as I see something on this, I’ll put something up here.